She visited masterclasses from David Mason, Iwona Sobotka , Ana Luisa Chova, Juan Antonio Alvarez Parejo, Ruben Fernandez Aguirre and Isa Katharina Gericke. Maria Martín worked with conductors as Cristóbal Soler, Enric Parreño, Olof Boman, Ulrich Windhfur, Daniel Inbal, Yoel Gamzou and Alice Meregaglia. In July 2019 soprano María Martín finish her Master in singing at the Hochschule für Künste, Bremen (Germany) under Krisztina Laki's and Thomas Mohr‘s tutelage. During this year she will made her debut in the roles of Sirena (Rinaldo, G. F. Händel) at the Oviedo Opera (Spain), Pamina (Die Zauberflöte, W. A. Mozart) at the Theater am Leibnizplatz, Bremen (Germany) and Youca (L'étoile, E. Chabrier) at the Theater Bremen. She will also perform as a soloist Fauré's Requiem at Theater Bremen from april to july. She was awared the special prize “Ópera de Oviedo” at the International Singing Competition Ciudad de Logroño in Spain. She has performed the roles of Susanna (Le nozze di Figaro, W.A. Mozart) at the Theater am Leibnizplatz, Bremen (Germany), Hyacinth (Apollo und Hyacinth, W.A. Mozart) at the Osnabrück Theater (Germany) and Vitellia (La clemenza di Tito, W.A. Mozart) at the Allee Theater, Hamburg (Germany). She studied her vocal perfomance at the Conservatory Castilla y León (COSCYL) in Salamanca (Spain) with Professor Abenauara Graffigna and Professor Javier San Miguel, graduating with honors. During this year she debuted the roles of Contessa d'Almaviva (Le nozze di Figaro, W.A. Mozart) at Auditorio de Alaquás and Tavernes Blanques (Valencia), as well as Marola (La tabernera del puerto, P. Sorozábal) at the COSCYL Auditorium (Salamanca). She was selected in YAGA Project (Young Artist Gloger Festival) in Kongsberg (Norway) and at the “Barokkfestival” in Trondheim (Norway), playing the role of Grace and Sherpedess in the opera Venus and Adonis by John Blow. Also, she performed several recitals with pianist Bengt Forsberg. She made her debut in the role of Sandrina (La finta giardiniera, W. A. ​​Mozart) at the COSCYL Auditorium (Salamanca). During the year 2015 she was part of the National Youth Orchestra of Spain (JONDE) in the first place. 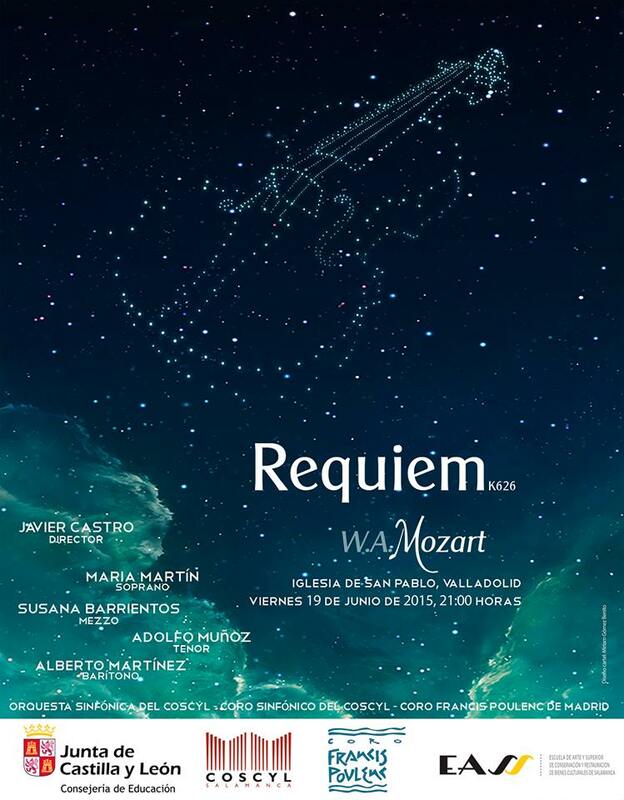 She performs with the orchestra of the Conservatory of Music of Castilla y León as a solist the Mozart Requiem. She graduated in piano at the Conservatory of Music of the Basque Country "Musikene" (San Sebastián, Spain) under the tutelage of Ricardo Requejo Retegui. She completed those studies with a focus on vocal accompaniment with conductor Enrique Ricci.